The goal of this project was to understand the values that go into a specific brand's design, and then mirror them. From the ideation, to the material sourcing, to the display, it was important to abide by the process that this company stands for, in order to create something in line with their brand. I chose Thos. Moser as my furniture brand to design for. I looked to their existing pieces and collections for brand language inspiration. The common features I observed in Thos. 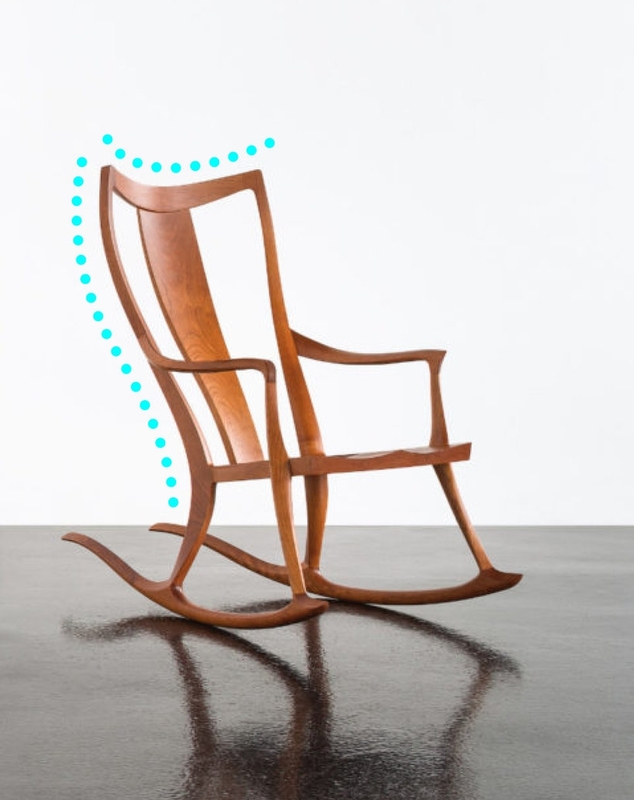 Moser's furniture included: using hidden joinery, solid wood construction from locally sourced species, availability for the customer to choose material, and subtle curvature, often in two directions. The ideation process consisted of many iterations of dining chairs. I strived to mirror Thos. Moser's aesthetic by using elements of their designs. I focused on the clean lines and subtle curvature that distinctively highlight this brand's level of craftsmanship. 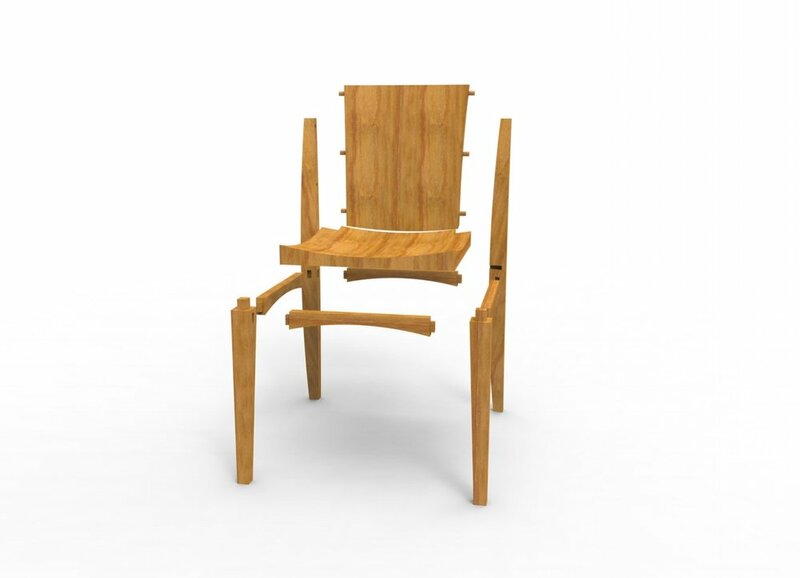 The construction of the chair uses hidden mortise and tenon joinery to hold the legs, supports, seat, and back together. It features anticlastic curvature on both the back and seat, to maximize comfort and highlight craftsmanship. It is made of solid wood and available in multiple species. Pictured below in Black walnut, American oak, and Cherry. The orthographic measurements here are presented on a product sheet, just as they are on the Thos. Moser website. It gets it's name, Camden, from the town of Camden, Maine. Many of the Thos. 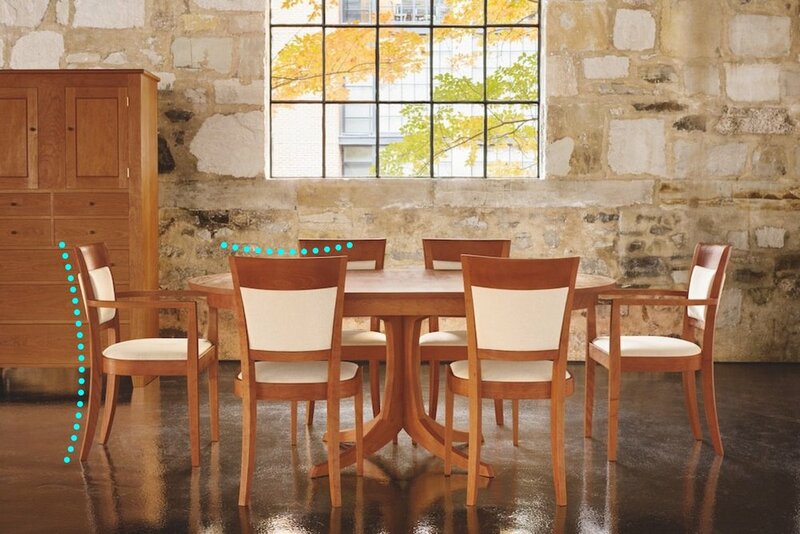 Moser collections are named after towns in Maine, where their workshop is located. The final rendering pictures the chairs in a dining set with a matching table, all of which were modeled in SolidWorks and rendered in Keyshot.